I hand- drew and cut the shaped card. little white dots along the outside edges. lines to create a wooden door effect. but this is hard to see in the photo. The edges of the door have been dotted with silver. 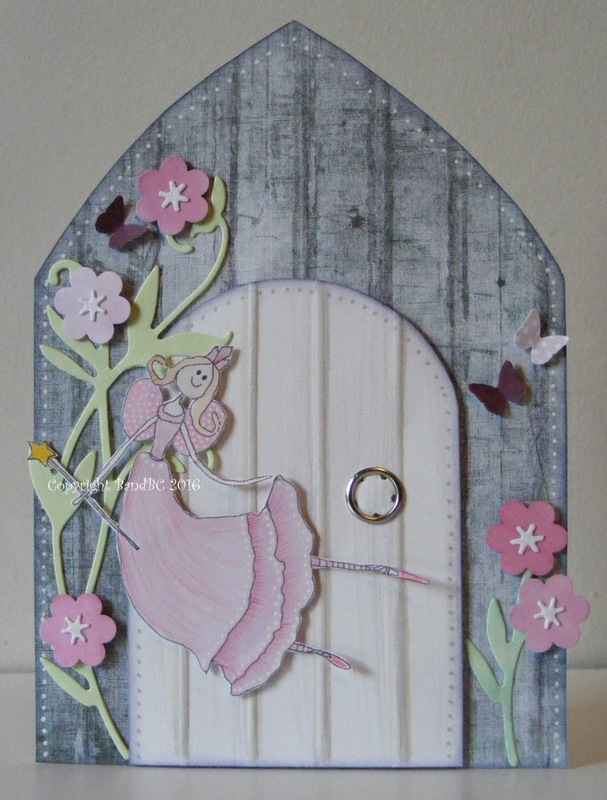 The fairy was coloured with my promarkers and fussy-cut. Sweet card Vicky! 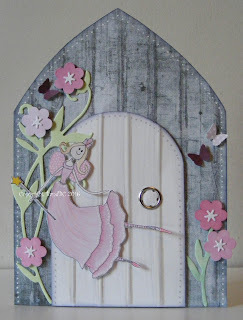 Love your fairy door idea! Thanks for joining us at Crafty Gals Corner! What a great idea, love how you did it yourself too! Thank you so much for sharing with us at Julia Spiri, Jackie DT Member. Such a beautiful creation. Thank you for sharing it on Cre8tive Hands Friends. Really nice idea for a shaped card... great color combo and cute image! Great you show it at Cre8tive hands Friends.